Nick Macie and Craig Tremblay, Newly Licensed Professional Engineers! NOVA now has two more Professional Engineers on our team. 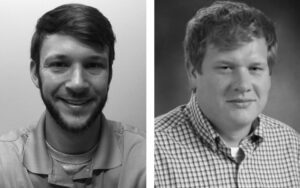 Nick Macie, a Project Manager in our Environmental department, and Craig Tremblay, a Staff Engineer in our Geotechnical department, both at our Kennesaw office, are now licensed after recently completing all requirements. Nice work!